Sensible colors and excellent designs and romantic moods are reflected with an ethnic style. 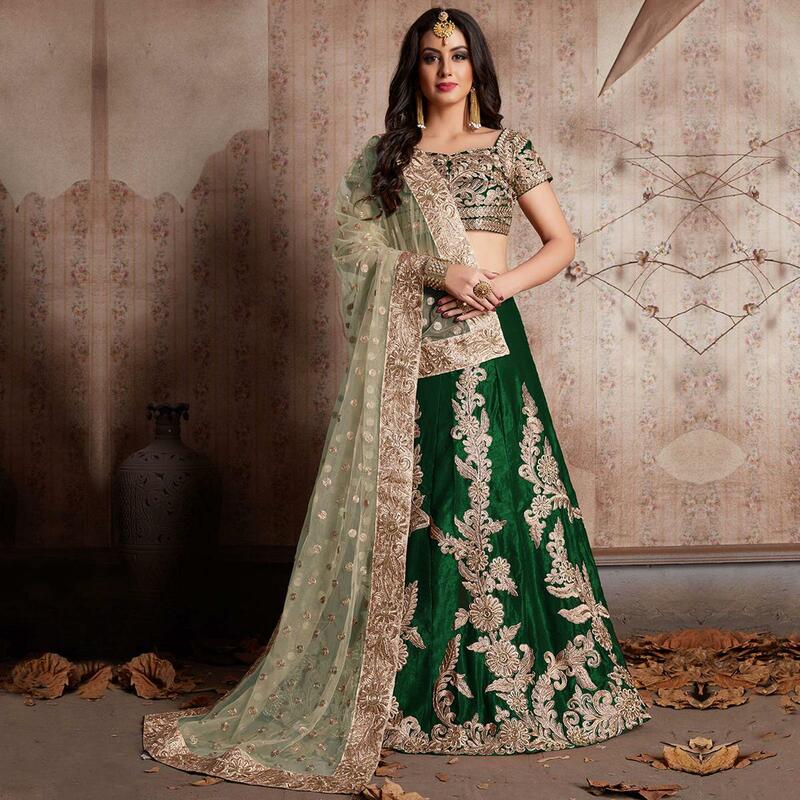 Create a smoldering impact by this sensational green colored wedding lehenga choli.This set features a Green semi velvet silk dori work lehenga choli set. It comes along with zari and dori lace work on soft net dupatta and heavy embroidery butta on dupatta. Matching fabric blouse with heavy dori work and zari work.. Specially designed to wear in weddings, functions, engagements, ceremonies and special occasions, where you want to be center of attraction. Teaming this dress with golden jewelry and high heels that would be an added attraction. Buy this designer lehenga choli and earn lots of compliments from onlookers.